February begins on Friday, which is one of the most romantic months of the year! With Valentine’s Day coming up, romance is on the mind of many couples. 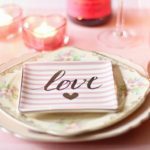 If you’d like to take your significant other out for a Valentine’s Day dinner, or a romantic dinner any time of the month, experts have shared their top picks for romantic restaurants on the Central Coast. As your Central Coast real estate agent, I am here to share them with you! 1. The Beach House at Lover’s Point overlooks one of the most romantic places in Monterey County, with gorgeous oceanfront views. They even have a Sunset Special menu, where if you dine before 5:30 p.m., you can choose entrees for $9.90 and wine or beer for $3.90. Who said romance had to be expensive?! 2. Sardine Factory on Cannery Row is famous for a scene in the movie “Play Misty for Me.” If you’d like to dine in the gorgeous conservatory room, an Early Dinner menu is available with dishes starting at $20. Be sure to bring your camera! 3. Head to Big Sur for a cliff side dining experience at Sierra Mar Restaurant at the Post Ranch Inn. Dinner will taste amazing with endless views of the coastline. Plus, you may even find yourself dining with celebrity couples! Anne Hathaway and Andy Samburg got married on this romantic property. 1. Oyster Loft in Pismo Beach was listed on OpenTable’s list of the top 100 most romantic restaurants in America! From the raw bar with a variety of oysters, to refined fish and meat dishes, you’re sure to find something fresh and delicious to enjoy with your loved one. Weekday happy hour is a great way to save! 2. Black Cat Restaurant in Cambria is a small restaurant, making for a cozy, intimate experience. Be sure to make reservations for dinner. Then enjoy options like sage and mushroom gnocchi or chipotle shrimp linguine. They’ve also got more casual lunch options and delicious dessert options! 3. Gardens of Avila in Avila Beach offers a tranquil setting with a mostly organic menu, showcasing produce right from the property’s garden. While here, enjoy a soak in one of the hot springs, along with a yoga class, massage, or even an overnight stay. Make it a romantic staycation! While the Central Coast has tons of amazing restaurants with romantic settings, these options are a little unique, or offer a special affordable option you may not have known about. Branch out! Even though Restaurant Month is coming to an end, it’s always a great time to try out a new dining spot with your partner. Check back next week on the blog for specific Valentine’s Day menus! Enjoy the romantic month of February, and when ready to accomplish your Central Coast real estate market goals, give our Oak Shores Realty team a call! What’s more romantic than spending Valentine’s Day in the Lake Nacimiento home of your dreams? We’re here to make it happen! Get Into The Fall Spirit In SLO County!